5 Bedroom Detached House For Sale in Pwllheli for £895,000. 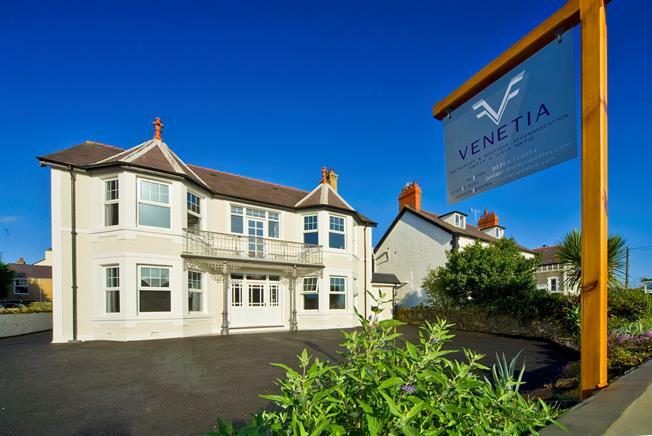 Venetia is a highly regarded Italian restaurant with five luxurious en-suite bedrooms in the centre of this highly acclaimed seaside village, just minutes away from sheltered beaches. The property underwent a comprehensive scheme of renovation and extension by the current owners who have created a delicate balance between modern opulence and original character features including the original staircase and Victorian tiled floor in the entrance hall. The cottage to the rear provides a living room with a front conservatory, well fitted modern kitchen, bedroom and shower room, and a second bedroom to the first floor. 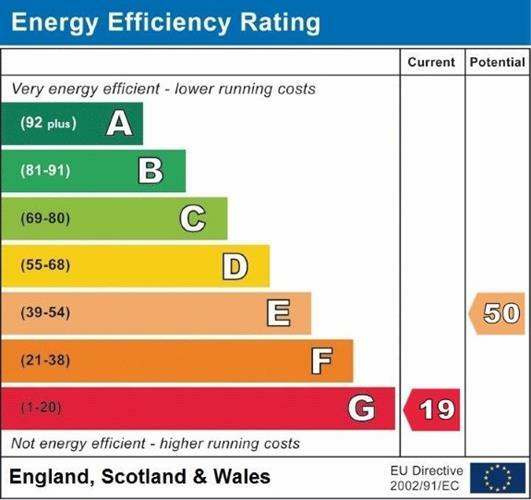 This is a valuable addition to the main residence, whether it be used as staff accommodation (if the business continues) or for holiday letting/living unit for a dependant relative. There is demand in the village for larger property for private residential use and the owners has made enquiries of a local building company, and it would be quite straight forward to convert back to a private residence. However, interested parties would need to make their own enquiries on costings, planning permission, etc in this respect. To the outside there is good customer parking with a rear garden area covered in slate chippings providing additional parking and a detached static caravan. Impressive entrance hall with original Victorian tiled floor. Original staircase with wooden banister. Custom designed wooden front door. Fireplace recess with log burning stove. Upholstered bay window seat. Karndean wood effect flooring. Tall wall radiator. Hand crafted bar with granite top, sink unit, ice well and fridges under bar, stainless steel shelving behind with mirrored wall. Two tall wall radiators. Ladies, Gentlemen and disabled toilet, all with low flush WC's, pedestal hand wash basins and hand dryers. Disabled toilet conforms with current commercial regulations. Karndean wood effect flooring. Tables and chairs comfortably seating 30 diners. Four tall wall radiators. External side entrance door. Cupboard housing electric consumer unit. Commercial kitchen, exceptionally well equipped with all stainless steel appliances and stainless steel cladded walls. Door onto balcony. Tall wall radiator. Bespoke mirror fronted fitted wardrobe. Bay window with sea views. Wall mounted flat screen TV with DVD player built in. Tall wall radiator. Flos lighting designed by Phillipe Stark. Fully tilled walls and floor. Independently controlled under floor heating. Chrome heated towel radiator. Corner shower enclosure, wall hung hand wash basin, Flare LED heated mirror. Low flush WC. Bespoke mirror fronted fitted wardrobe. Wall mounted flat screen TV with DVD player built in. Tall wall radiator. Flos lighting designed by Phillipe Stark. Fully tilled walls and floor. Independently controlled under floor heating. Chrome heated towel radiator. Shower enclosure, wall hung hand wash basin, Flare LED heated mirror. Low flush WC. Fully tilled walls and floor. Independently controlled under floor heating. Chrome heated towel radiator. Corner shower enclosure. Laufen whirlpool bath. Tilevision. Wall hung hand wash basin. Flare LED heated mirror. Low flush WC. French doors into double glazed conservatory and into lounge with oak effect floor and open grate fireplace. Fitted kitchen with electric hob and oven beneath. Shower room. Bedroom one with en-suite shower room. Bedroom two is on the first floor. Ample parking at the front of Venetia. The rear garden space is covered in slate chippings and houses the oil tank and sunken gas tank. There is parking space here too. There is a static caravan with connected services. There is an attached store room running the full depth of the property with plumbing for a washing machine and has external access from front and back of property. Visit Wales - 5 Star Gold Award. Michelin Guide. Hardens Restaurant Guide. Great Little Places. Wales In Style. Cheshire Life North Wales Restaurant Of The Year. Coast Magazine. After successfully developing the trade over the past seven years, the owners now wish to concentrate on other business further afield. The exact profit and loss accounts for the year ending January 2013 are £310,770 with an adjusted trading profit of circa £80,000. Further financial information can be made available to any seriously interested parties following viewing.